We provide the industry with a workshop that is focused on absolute quality and a fast turnaround on all repair work. If your repair needs are urgent, trust only Global Machinery Sales with your servicing requirements. We service and repair all makes and models. 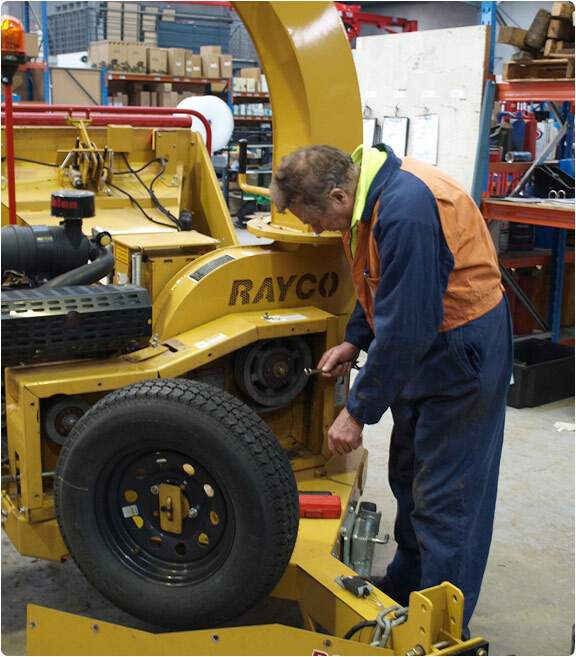 Our parts department stocks all the necessary parts and tools for all the major heavy machinery brands – Rayco, Bandit, Husqvarna, Vermeer, Austchip, Chipstar, Telcor, Power Chipper, Dosko, Agtrak, Stump Humper, Morbark, Red Roo, John Deere, Caterpillar and more. We can help you ensure that your chipper will meet the new OHS guidelines. For any technical support or queries, or to schedule a service, email the workshop at ryan@globalmachinerysales.com.au or call 1300 072 926.